Bahar Dar, Ethiopia: LIKE MANY MARRIED couples, my husband and I have very different ideas about what constitutes a fun vacation. Last February, for example, while he took off for a week-long European skiing trip with his friends, I opted to spend two weeks traveling solo around dry and dusty northern Ethiopia. 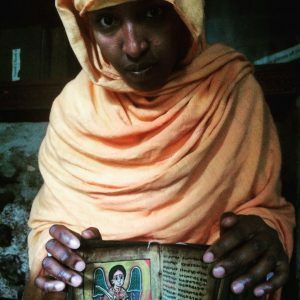 I’ve been drawn to Ethiopia ever since my high school years, in Flint, Mich., when a classmate, who’d moved from Addis Ababa to the U.S., regaled me with stories of the country, with its prototypical, fairytale-like castles and elaborate churches carved out of rock. It sounded pretty exotic to my teenage self. More than two decades later, as my guide, Dawit Teferi, who along with a driver, took me around the rock churches in the Tigray region and then to see the verdant peaks and valleys of the Simien Mountains, northern Ethiopia delivered on those early promises. But I never expected anything like Lake Tana. The largest body of water in landlocked Ethiopia, Lake Tana is about 1,400 square miles, a fraction of the size of Lake Michigan, my childhood stamping grounds, but with an outsize claim to fame: It’s the source of the Blue Nile, which, once it joins with the White Nile, in Khartoum, Sudan, becomes the world’s second-largest river. But Lake Tana isn’t just holy ground for geography nerds. Within the lake’s copper-colored waters are 37 islands, many of which shelter centuries-old churches and monasteries filled with brilliantly colored frescoes and paintings. And since custodians of sacred religious sites tend to be gentle on their natural surroundings too, last year Unesco declared Lake Tana a biosphere reserve. The morning Dawit and I arrived in Bahir Dar, the largest city on the shores of Lake Tana, we had already spent three sweltering hours driving in from the old royal capital of Gondar, and I was champing at the bit to see the Blue Nile waterfall. The churches could wait. After checking into our hotel, we drove another hour, on a horribly bumpy road, to a riverfront village where we caught a small ferry to cross the tributary waters of the Blue Nile. Three minutes later, we were on the opposite riverbank, walking past fields of sugar cane, onions and khat (a popular local stimulant). We soon rounded a bend, and seemingly out of nowhere appeared the falls, pouring down a 147-foot rock face. Dawit told me that the falls—also known as “Tis Abay” (“Smoke of the Nile”) in Amharic, Ethiopia’s official language—were half the volume they’d be right after the rainy season, which ends in September. Even so, they gave off an impressive spray. We watched as locals climbed on the slippery rocks, eager for the cooling mist, but I worried about getting too close; falling into these hippo-filled waters seemed a surefire way to ruin a vacation. So after some manic photo-taking, we headed back, passing by a rickety bridge that connects the two sides of the river. A farmer walked his three donkeys across, seeming to take no notice of the sway. Dawit bought chickpeas, still on the branch, which we munched on as we walked back to the boat dock in the glaring midday sun. After lunch back in busy, palm tree-lined Bahir Dar, we hopped on a small ferry to take us across Lake Tana toward the 16th-century monastery of Ura Kidane Mehret, built on the Zege Peninsula that juts into the lake. It took our little boat about an hour to reach the shore, and then we trekked uphill another 20 minutes, passing coffee bushes, screeching monkeys and vendors selling hand-carved figurines and sistrums, musical instruments to accompany chanting. Sweaty and cranky from the heat by the time we arrived, I stepped inside the candlelit church—shoes off—and was immediately soothed. On our way back to Bahir Dar, at the end of the day, we stopped at the small forested island of Entos Eyesu to visit one more church. There, a young monk in a white robe greeted us and led us into another small round sanctuary, explaining that the chapel was rebuilt in the 1990s, but the original church dated back to the 1400s. In the monastery’s tiny museum, a young nun in flip-flops took out a 700-year-old holy book to show us the drawings of St. George, the patron saint of Ethiopia, depicted on its goatskin pages. For the umpteenth time during my trip, I was thrilled to be exactly where I was—and not skiing. 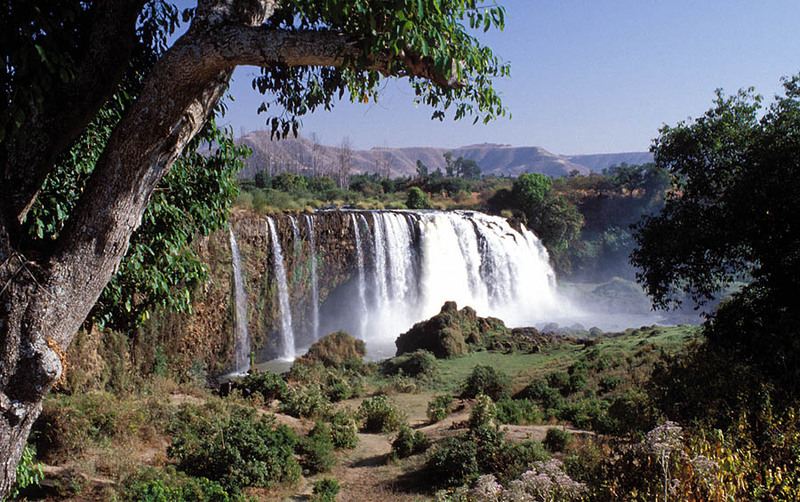 Getting There: You can fly to Bahir Dar from Addis Ababa on Ethiopian Airlines. 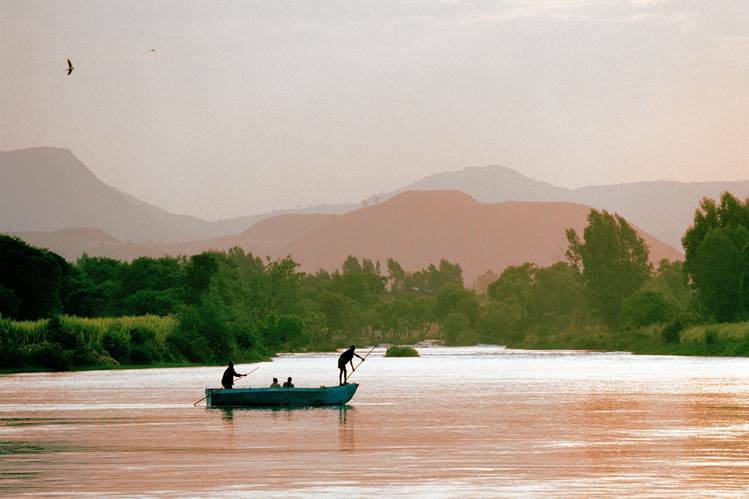 Or you can drive about three hours from Gondar to Bahir Dar. Staying There: The finest hotel of my trip, Kuriftu Resort and Spa, on the banks of Lake Tana, has a large pool and stone-and-wood cottages decorated with locally made furniture. The hotel also offers Wi-Fi, which is still a big luxury in Ethiopia. The wood-paneled dining room, overlooking Lake Tana, serves excellent food, including steamed local fish in a Balinese curry and chicken breast with a pungent rosemary sauce. The wines on offer are good, but the local coffee is even better (from about $100 a night, kurifturesortspa.com). 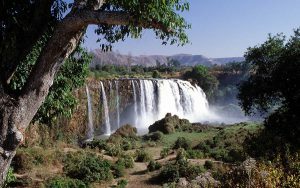 Touring There: The best time to visit northern Ethiopia is immediately after the rainy season, June through August, when the region is lush and green and the Blue Nile Waterfall is roaring. My guide, Dawit Teferi, specializes in both northern Ethiopia and the Omo Valley in the south of the country (understandingethiopiatravel.com/index.html). Kibran Tours, an Addis Ababa-based luxury travel company, provided the transport and hotel bookings (kibrantours.com).